Why Do People Drink on St. Patrick's Day? 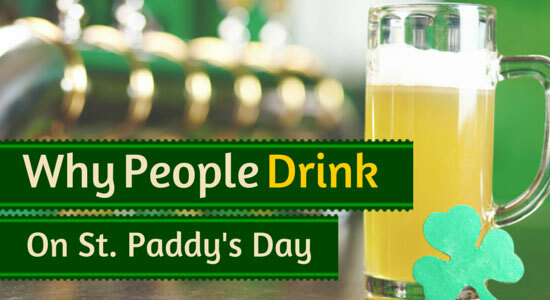 Many people are familiar with the traditions that go hand-in-hand with St. Patrick's Day – green everything (milkshakes, beer, clothes, rivers); parades; shamrocks; corned beef; and, perhaps most notably, drinking. 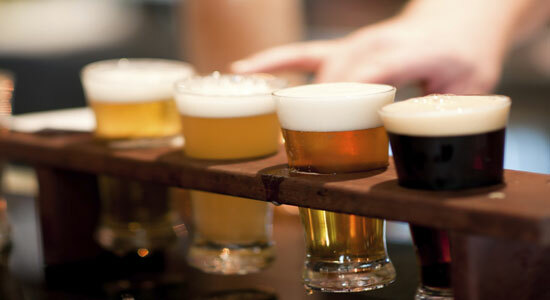 The alcohol starts flowing early on March 17 – or the weekend prior, and there's no need to be Irish to celebrate. Have you ever wondered why that tradition exists? Is there some historical explanation or is it just the result of large groups of people getting together to celebrate the same holiday? We did a little digging to find out. First, a little about Saint Patrick himself. 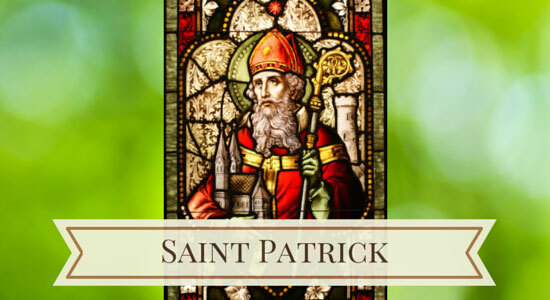 It's believed that St. Patrick was born in the fourth century to a wealthy family in Roman Britain. At the age of 16, he was kidnapped by Irish raiders and taken to Ireland as a slave. During his captivity, he worked in isolation as a shepherd, and in his loneliness, he turned to Christianity for solace. After more than six years in slavery, he escaped to Britain. According to Saint Patrick's writing, an angel in a dream told him to return to Ireland as a missionary. More than 15 years later, he was ordained as a priest and was sent to Ireland for two purposes: to minister to those who were already Christians and to convert the rest of the Irish who, for the most part, practiced nature-based paganism. Tradition holds that St. Patrick died on March 17. Saint Patrick's Day was made an official Christian feast day in the early 17th century, and St. Patrick is the most widely-recognized patron saint of Ireland. Why is Drinking a Part of St. Patrick's Day? There are a few non-historical reasons why people drink on St. Patrick's Day in modern times. One is that crowds of people all celebrating the same thing tends to result in some alcohol consumption. In addition, mid-March is the time when hints of spring appear in many parts of the United States, which puts people in a jovial mood. And, most simply, some people drink because everyone else is doing it. However, there is a historical explanation that may shed some light on the roots of the tradition. According to legend, St. Patrick was staying at an inn where he was given a cup of whiskey that wasn't full. He used this as a chance to teach a lesson on generosity. He told the innkeeper that there was a devil living with the whiskey in the inn's cellar. St. Patrick said that this devil was the reason the innkeeper was greedy and cheated people out of their drink. He explained that the only way the innkeeper could redeem himself and banish the devil was to fill everyone's cup until it was overflowing. When St. Patrick returned, he discovered that the innkeeper now had a generous spirit and each cup was full. It then became custom to drink a "full measure" to celebrate the occasion. In addition, because St. Patrick's Day is a feast day, Christians are allowed to set aside their Lenten restrictions on food and alcohol consumption. This has further cemented the link between St. Patrick's Day and drinking. Even though drinking and St. Patrick's Day have a widely accepted connection, don't make drunk driving a part of your St. Paddy's Day tradition. There are ways to enjoy yourself and be safe – call a cab, take public transportation, designate a driver, or stay the night at a friend's house. Keep your celebrating responsible and don't depend on the "luck of the Irish" to avoid a car accident. Even if you're the safest driver on the road, accidents aren't always avoidable. If you're ever injured in a drunk driving accident, we're here to help. "Drunken History of Saint Patrick's Day." Drunkenhistory.com. March 15, 2012.